Shire has created an integrated online application system – Click 2 Finance – a fully automated system that performs everything from online credit approval through to Esignatory of leasing document and online delivery confirmation. 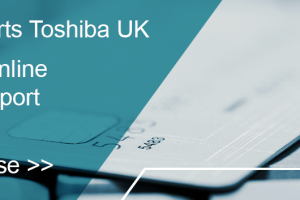 This new proposal with Shire Leasing, which sits within the Toshiba Recommends for SMBs initiative, is the latest example of Toshiba’s dedication to small and medium sized businesses. GET IN TOUCH It follows past projects including the Get Modern with Toshiba campaign, designed to raise awareness of the benefits of upgrading from Windows XP following the end of support, and the Desktop Scrappage Scheme for SMBs. Read the full, which includes statements from Santiago Alviar-Baquero, Head of SMB and Distribution for Toshiba in Northern Europe and Vincenzo Scalzone, Sales Director for Shire Leasing.